The Sound Design experiment that turned into an Album – Som na Caixa! With this quote and this comic in mind I decided to make an album. It is always difficult to leave our comfort zone, and it is even more difficult to leave the comfort zone, start one album and say to yourself that it is finished and ready. But if you keep on polishing, creating, mixing and “finalizing” it, it will never leave the studio. Philosophical issues apart, I always wanted to make an album all by myself but in a different way. So, I decided to make a Sound Design experiment, that in the end turned into an album. After I’ve specialized in Audio for Video Games at Berklee College of Music and I’ve been working with VR/AR/360 Videos Sound Design nowadays, it was the reasonable and plausible way to go. You’ll hear it and think, “well, these are songs, this is just music”. Yes, but all the process behind them is pure Sound Designing. I always go out carrying an audio recorder. If not, a good mobile app can do the job too. So I started recording all sounds I hear during the day, especially during my commute. The sound of incoming subway trains, doors opening, people chatting, announcements on train stations speakers, etc. There was once, I was inside London Tube and started recording all this process. And specifically on the train I was, the audio announcements were playing weird. They were doubled, like some kind of delay was there, but of course it was just a synch error of the speakers. When I went back to the studio I added a beat based on the delay velocity. And then created a song that kinda emulates a process of walking inside a Tube station. All the fuss, music, random noises, footsteps, walla. And the delayed audio. This song led to another that led to another and so on. I traveled to Amsterdam, Lisbon, to some small cities in Germany, and now I’m living in Berlin. All these places have a Sound Impression, a peculiar characteristic in terms of ambiance and sound, which I’ve captured and created music over it. Music, but all made based on Sound Design experiments. Have a listen at once (the album is mixed on purpose, one song is harmonically chained to another), and if you’re curious about the process, check what I’ve done song by song below. The experience is greatly enhanced if you listen with headphones. There are some binaural audios and the mix was intentionally made for headphones, as you’re on your daily commute. And more info for you. Cover art was made by Rodrigo Zannin, an awesome Art Director based in Singapore. I gave him a photo of my headphone and he created freely over it. -The original album cover uses Heidelberg’s tram and bus lines design over the original headphone pic. –Mind the Gap cover artwork uses London Tube design (obviously). –Sound of Spheres uses the lines of Baghdad underground design. Baghdad is the city that has an ancient circular city beneath it. –Caipirinha uses São Paulo-Brazil underground design. –Bombay Sunset uses Mumbai’s U-design. –Amsterdam Centraal uses Amsterdam U-design. –Berlin uses the U-Bahn, obviously. –Namaste uses New Delhi U-design. 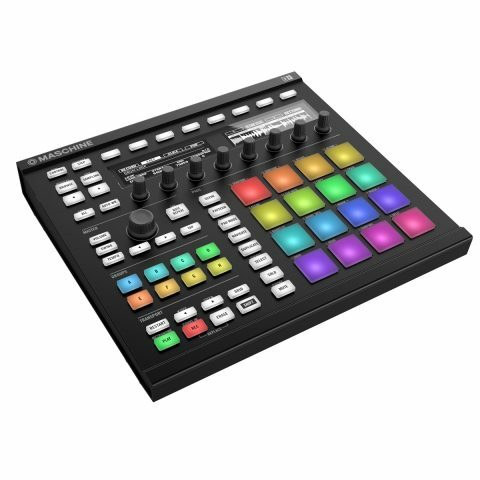 –Love Maschine uses Paris U-design. –Baixa-Chiado has exactly Baixa-Chiado’s U-point in it. –Dark uses Reykjavik U-design. Reykjavik is the capital that receives less sunlight in all capitals in the World. –Psalm uses Philadelphia U-design, the city that still has John Coltrane’s house. The first one. You can check all the movement inside London Tube. All sounds are blended with the music, and the music itself has some excerpts that can be easily found inside a station, like somebody singing, all the fuzz, and low noises. Also, the drums were intentionally made with distortion to give the feel that somebody’s playing it from a low-quality speaker. 02 – Sound of Spheres. I had these sounds from space and I’m fascinated by Vangelis music. The idea here is to have real low ominous sounds together with this out-of-space feeling, to emulate a “commute” through stars and planets. The vocals are available from a Sample Boutique, so I’ve worked it as a way of getting people into the vibe of drinking Caipirinha. Lots of it. It starts normal, a beat with some guitar solo, gets slower, the guy starts singing, getting drunk, the voice distorts, the music gets faster, more distortion and then the slow Bossa-Nova turns back into that dance song, but now with the Caipirinha inside it. Pretend you’re drunk. And sing along. I’ve always wanted to create one song that I could play only one note. That is the case. I’ve just played the initial keyboard pad. All the rest is a lot of loops grouped. The idea here is to show one concept that I firmly believe, that all sounds can get along with all sounds. All we need is a friendly environment and a fixed bpm for all of them to get together. So I’ve mixed orchestras, pianos, regular drums, tablas, sitars, jazz guitars, scratches and effects. All of them coming from pre-existent loops. Plus that one note I’ve played in the beginning. The ambience is from the central train station of Amsterdam. I was there waiting for my train and recorded. In binaural. The announcements aren’t that perceivable, but the voices from people coming by can be heard as binaural. As well, the beat and the bass line creates a mix of one of the first successful electronic dance songs ever, I Feel Love (Giorgio Moroder / Donna Summer) with the rhythm of a train. Techno, of course. The name of the song says it all. With U-Bahn sounds. I’ve always listened to those U-Bahn announcements and thought of creating something with them. Further, the approach of the train has some interesting sound frequencies, that I enhanced with compression and equalization inside the song. That song was made in one day. The song in itself is pretty simple, but the processing of the voice is really different. You won’t notice when the voice (that “Namaste” speech) becomes an 8-bit instrument and gets inside the mix with distortion, processing and looping. Here it is for you to listen separately. In the end, you can get a glimpse of it when the music fades and the voice continues. My first attempt to do a song in a different way, without a keyboard, only using Native Instrument’s Maschine (both DAW and gear). Since there are 16 pads and not black and white notes displayed in a row (see the picture below) you get pretty free to go anywhere you want, your brain doesn’t get the logical barrier of playing a keyboard. It took me 2 days to mix it, but the concept was pretty easy to create, it was just feeling, no theory at all. Maschine did all the theory for me. Additionally, for the vocals, I asked on a post in Facebook for people to write their most loved word in English. Some of them wouldn’t fit in the song (like “Let’s have an Oswald Spider filet”), but most of them were great. Then I typed on a text-to-speech software and rendered 3 synthetic voices. Put them all in time over the song. During this process, I noticed that “Love” was the most used word and all other words could relate to it. So I made the last verses to end in “Love”, There are no loops or samples in it. My second attempt of using another DAW for the project, now with Ignite. I like to go out of my common day-to-day equipment to hear where I can get. Different sounds, different methods of mixing, creating, playing, etc. In this case, as I was new to the environment, I decided to make another “classic” Lounge music. But with more beats, like those from the early 00’s of Naked Music label. And I love this minimalistic ostinato concept of keeping only one bass line and evolve over it with different and dissonant chords. Like those early 80’s New Order songs (not comparing, just using as a reference). The Sound Design beneath it is a walk through Lisbon underground. Which is much quieter than London or Berlin ones. The song evolves as the train approaches, when it gets on the platform comes a solo, reminding of people getting in and out the train. The announcer says “Proxima estação – Baixa-Chiado”. Furthermore, there’s a reference of Vivaldi’s Summer during the song. Just for fun. This music was intended to be a synesthetic experience of a Brazilian candy. Yes, a dark chocolate bonbon with some orange zest in it. You first experience the package, the feeling of it, then you open it, put in your mouth and taste all the exquisite flavors in it. The distorted saxophone solo is the moment you chew for the first time. You like it so much that you do all over again, now with more flavour in your mouth (the second part of the song). I recorded somebody praying and chanting inside a church in southern Germany. With my mobile. Then cleaned it, preserved the natural reverb of the premises, made some changes in the melody using Melodyne, added some hypnotic to enhance this ethereal mood, then added regular sounds such as piano, drums and guitar. The voice works both on a single harmony part and on a more elaborate harmony. It is open for interpretation. At the end, the “singer” closes his praying book, rise from his praying position and leave. This is the end of the album and of the experiment.